Do you get messages? Weird, interesting, unusual messages? Messages that you know in your heart can only come from Spirit? I do. Mine often come in the form of ospreys flying overhead as I walk in to speak or when I need a reminder that all is well. 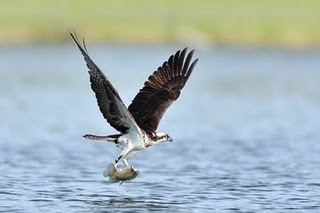 It seems that whenever I’m fretting about money, an osprey will fly directly over my car carrying a fish. Not just any fish. The size of the fish seems to mirror the size of my fears. Last December, the fish were enormous. To me that’s Spirit reminding me that everyone is fed, including me. I always laugh and feel blessed and sure enough, shortly after my osprey “shows me the money,” the human money arrives. There’s another message that comes regularly. Pennies. 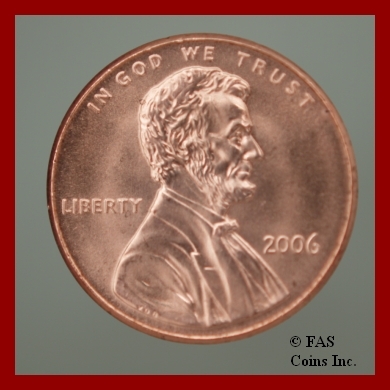 You’ve heard the song, “Pennies from Heaven?” Well, I think, they are literally from heaven. The pennies started coming after my ex-husband died. They came in such abundance and at such odd times that I couldn’t miss the connection. The wackiest time was the day I was in a furniture store. I’d fallen madly in love with a lime green sofa. I had just received the miracle check from my ex (the miracle story is in Writing Down Your Soul) and thought it would be lovely to have new furniture. But the sofa was shockingly expensive. So, much as I coveted it, I decided I should just buy a lamp. One lamp sitting on a desk looked interesting. I turned it on but nothing happened. So I crawled under the desk to plug it in. There in the middle of the floor under the desk was a shiny penny. I clutched it to my heart. Burst into tears. Whispered “Thank you.” And bought the sofa. I know I can count on pennies as messages from heaven. They constantly appear on the sidewalk. They show up in my home–which is odd because I’m the only one here. The most amazing ones are the ones that show up in the car. The car that I drive all by myself. Hmmm. Last August, BodyMindSpirit Expo invited me to speak in Raleigh. Now, the deal I have with God is I say yes. Spirit is in charge of the invitations. My job is to show up and share the joys of deep soul writing. So I say yes to an invitation and additional events always congregate around it and I’m able to make some money or at least break even on the trip. But this trip was different. No matter what I did, I couldn’t get any other invitations. This was a problem. Because BodyMindSpirit didn’t pay an honorarium. Nor did they pay travel expenses. So on my own penny (pun intended) I flew to Raleigh, stayed in a hotel and paid for the cab to the event. Oh boy! As I got off the plane racked with doubt about my decision to come to Raleigh, I said to Spirit, “You have to give me a sign that I am OK.” The hotel van pulled up. It was immaculate. It must have just been washed and vacuumed. I was the only passenger. I sat down and put my bag on the floor. There at my foot, touching my shoe was a shiny penny. I burst into tears. The driver turned around. “I’m OK,” I said. “I’m very OK.” He had his doubts, but he drove me to the hotel. Well, Cherry Lea, the owner of Dancing Moon Bookstore in Raleigh came to my talk, fell in love with Writing Down Your Soul and invited me back on Valentine’s weekend for not one but three events. We had a full house for each, including my first workshop on how to create your Intention Mandala. The Intention Mandala was the last workshop I taught on Sunday afternoon. To convey the power of an Intention Mandala I waved my actual 2006 Mandala in front of the audience over and over again, telling all the magical things that happened that year. In 2006, anything and everything I wanted came to me effortlessly. In 2006 I attracted a national comun for UPI, Conari Press, a contract for Writing Down Your Soul, and even a love relationship. My 2006 Mandala was magical and I loved teaching the process so everyone can have a divinely supported year. I headed to the airport filled with gratitude for such a luscious weekend and such a loving relationship with such a wonderful store. It didn’t hit me till I got on the plane that that evening was the first time I’d called my ex-husband my husband. I have long felt that he doesn’t like me calling him my “ex.” I’ve struggled with what to call him because legally of course he is my “ex” but the truth is our divorce was an invitation from Spirit. To go deep. To enter into divine dialogue. To open my soul to the messages stored there. It was an invitation that gave birth to Writing Down Your Soul. I am forever grateful for that invitation. So that means, I am forever grateful for my “ex-husband,” who from now on, I will call my husband. Because he was. And I know that my 2006 penny was a little thank you for acknowledging that. That 2006 penny is precious to me. It now graces my altar. What’s on your altar? What messages have you received? How does heaven encourage you? Bless you? Comfort you? I know your messengers are there. I know it. They are always there. We just have to open our eyes to see them, our minds to acknowledge them, our hands to receive them, and our hearts to be forever grateful. December Plan Day 10: When did Spirit wink at you this year? This week in our December Plan we’re looking BACKward. Back all the way to January 1, 2009. Look at your calendar. The clues to your year are right there in front of you. Who knew that such a simple office supply could carry so much information, including several messages from heaven. Before the year began, I pinned a four foot tall dry-erase 2009 calendar on the wall above my desk. For the first few months, it looked rather pathetic. As in: blank, empty, WHITE. But slowly, as people discovered Writing Down Your Soul, the squares filled with classes, speaking invitations, workshops, book signings, and radio interviews. I didn’t consciously plan a color scheme. I just reached into my drawer the day I booked my first event –and grabbed a black marker. Joyfully, I posted my first book signing in the square for January 11. Once I posted that one in black, I wrote all speaking events and workshops in black. Newsletter due dates are green. Social events are red. Florida sales tax due dates are red, too. But blue is reserved for something special. Blue is the color of surprises. Heavenly surprises. Miracles in other words. Some of my miracles are big. What happened at the book signing on January 11th is big — very very big. If you’ve heard me tell the story of the mystery man and his message, you know what I’m talking about. A penny for me is more than a penny. It is the way my first (and thus far, only) husband says hello from heaven. It is the way Spirit winks and pats me on the pack. I see pennies all the time. One morning, after a fitful night worrying about money, I went to the gas station. As I stood there pumping gas, I demanded to know that heaven was with me. The receipt wouldn’t come out, so I stomped into the station to pay. There on the post outside the door was a dime and 2 pennies. I took it, said thank you, and, “You know 2 more cents would make 14. Fourteen cents would be really nice.” As I got in my car, I noticed 2 pennies on the ground. “Thank you,” I cried. When I got home I put those coins with all the others in a little bowl under my creative altar. I think there’s a couple dollars in it. I’ll count the whole amount on December 31. After I put the coins in the bowl, I mark my wall calendar with a blue dot. Today, December 10, I sit under my 2009 calendar and smile at all the black squares. I see in my mind all the people I taught. All the book stores I entered. All the books I signed. It’s all there on my 2009 calendar in bold black marker. But the real wonders of 2009 are the blue marks. Those are the moments heaven winked and said, “We’re right here, with you, darling one. All is well.” Those are the moments that carried me then — and carry me still. When and how did heaven show up for you this past year? Do you have a private little language between you and your divine guides? Does Spirit send you pep talks through birds? Answered prayers? Unexpected phone calls? Music? Smells?